Commercial Roof Maintenance Programs are an essential part of extending the life of any roof system. It’s even more important when dealing with commercial roofs that are generally low-slope or flat. 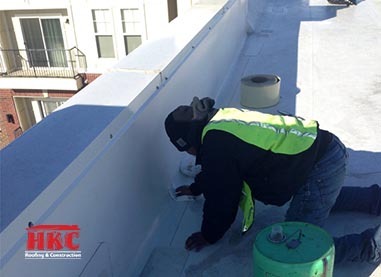 Commercial roofs in Cincinnati and Northern Kentucky are subjected to extreme temperature fluctuations, a comprehensive maintenance program will help curve these effects. These systems take a lot more wear and tear from both the weather and foot traffic by mechanical contractors. It’s vital to the performance of the roof that it’s inspected bi-annually and minor repairs are made to prevent leakage and deterioration of the system. It’s no secret that the replacement cost associated with a commercial roof system is expensive. While maintenance may not be as important in other areas of the building’s envelope, it couldn’t be more imperative when considering your commercial roof. We have the knowledge and expertise to evaluate your commercial roof and prepare a cost savings maintenance plan. We can tailor plans to fit your budget instead of waiting until it’s too late. According to the NRCA (Nation Roofing Contractors Association), roof system maintenance is often the most neglected area of a roof management program. It’s also the single most important factor (after proper installation) for determining the life span and cost of a roof system. It’s been proven time and time again that a maintained roof will last 7-10 years longer than a roof maintained on a reactive basis. The overall costs of the repairs throughout the life of the roof are nearly half when a maintenance plan is in place. That’s because the roof is constantly being monitored by a professional and repairs are made before the damage is done. Most roof manufacturers’ warranties require the owner to periodically inspect and perform maintenance to their roofing system. 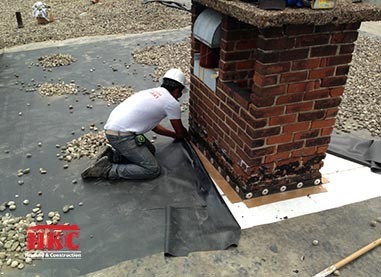 HKC Roofing’s technicians are trained by the manufacturers as well as in house on each commercial roof system. This constant training allows us to efficiently assess and repair your roof.